Castelmaure Col des Vents Corbieres is made from 50% Carignan, 35% Grenache, 15% Syrah. 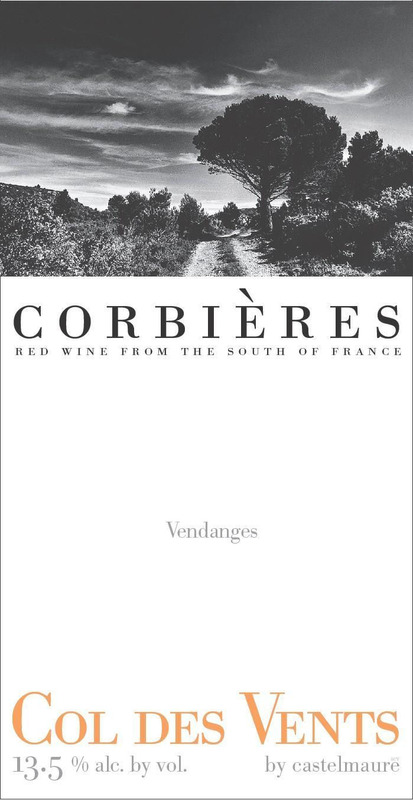 Brambly berry, cherry and raspberry, spices, black pepper … all are present in this authentic French country wine. There are also some aromas of Garrigue (Rosemary, thyme and lavender) giving a minty, herbal notes, that are quite refreshing as well. The wine is a perfect match with a nice rosemary marinated roasted lamb.